We are a leading Manufacturer & Exporter of Air Separation Plant such as Air Separation Unit, Cryogenic Air Separation Plant, Liquid Air Separation Plant and Medical Air Separation Plant from India. 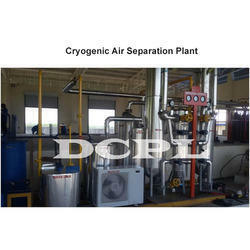 Cryogenic Air Separation Plant is available in diverse capacities ranging from 50 m3/hr to 10,000 m3/hr and ensures highly pure output with purity upto 99.7% oxygen and 99.99% nitrogen. The engineers we have are highly educated and well experienced in the domain of designing, manufacturing, commissioning, erection and installation. Once start producing the desired output, it remains same for the years to come. They do not require much maintenance. We offer premium quality Nitrogen oxygen gas separation plant that is trusted for production of oxygen on a large scale with high purity. Our nitrogen plant uses the latest cryogenic technology in the fabricating and manufacturing nitrogen oxygen gas plant machinery. We have top-class manufacturing facilities that help us to design and fabricate technologically advanced machinery. Being fabricated with best materials and top technology, our machines are able to generate oxygen with purity up to 99.7%. Our nitrogen oxygen gas separation plant functions on the basis of Linde Claude process, which was developed in 1930s. Our oxygen gas plant machinery comes in different capacities and sizes ranging 20 m3/hour to 500m3/hour. Advanced quality raw material is used in the manufacturing of gas plant machinery. We manufacture our oxygen plant machinery in compliance with international standards. Quality of the machinery is ensured to deliver satisfaction to our customers. 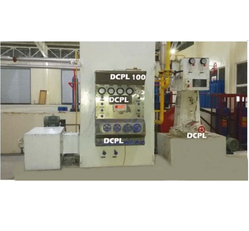 Since our inception, we are instrumental in offering premium quality Air Separation Unit. The purity of oxygen is upto 99.7% and nitrogen upto 99.99% respectively. This unit is manufactured in different capacities to cater the demand of everyone starting from 20 m3/hr to 10,000 m3/hr. Apart from well equipped R ;D units and skilled manpower, we consult internationally acclaimed companies and professionals to acquire the latest developments in the industry. Besides being manufactured from high-grade components and latest technology, the offered unit is inspected properly by our expert professionals. Owing to its features like high functionality and sturdiness, the offered unit is exceptionally valued by our precious clients. 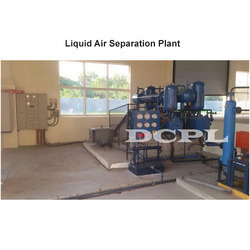 We are a leading company for designing and manufacturing Liquid Air Separation Plant. Apart from the technologically very advanced, the systems are fully automatic. If any failure strikes the system, it informs the operator by creating sound or burning light. Liquid air separation plant of our company comes in different capacities ranging from 50 m3/hr to 10,000 m3/hr and ensures purity upto 99.7% and 99.99% respectively. They are tested many times before being installed. Also known as cold box, the Air Separation Column separates the air into its components. The air separation column (cold box) consists of a number of components such as outer steel casing, main heat exchanger, liquefier, bottom column, top column, condenser, sub-cooler, liquid oxygen & nitrogen filter. Some more components include cooling pipe line, insulation material, digital electronic temperature indicator & scanner, pt 100 sensor, dp gauge manometer, expansion valve with long stem type with pointer & index & wheel. Air Separation Plant of our company are appreciates for producing highly pure output in the form of oxygen and nitrogen. The purity of oxygen is upto 99.7% and nitrogen upto 99.99% respectively. The machines are manufactured in different capacities to cater the demand of everyone starting from 20 m3/hr to 10,000 m3/hr. Once installed, they perform for years without wear and tear. Our Medical Air Separation Plant are designed and developed in technical collaboration with internationally approved companies. With the capacity ranging from 50 m3/hr to 10,000 m3/hr, the machines also make sure output perfect for medical and industrial applications, which is upto 99.7% and 99.99% respectively. The items are manufactured in our well equipped manufacturing units under close supervision of quality controller team. They are perfect in terms of performance, usability and usefulness. We are engaged in fabrication, installation and commissioning of varied Portable Oxygen Can. Portable Oxygen Can are supplied as per buyer choice. 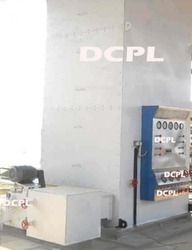 Looking for Air Separation Plant ?